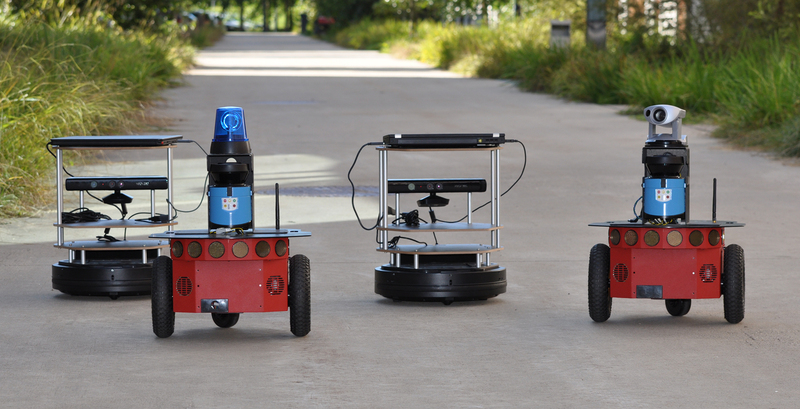 New packages for the Robot Operating System (ROS) are available for autonomous exploration of unknown environments using collaborating mobile robots equipped with cameras. The software offers wireless ad hoc communications between robots, merging of maps from different robots, and coordinated selection of exploration frontiers. A prototype with up to four robots was built that demonstrates its functionality in an indoor environment.